Jon Hyman is a highly experienced leader and senior level executive with more than 25 years of business experience across broad spectrum of industries, including sports, construction, construction materials, and real estate. He possesses a wealth of expertise in areas such as mergers and acquisitions (M&A), business start-ups and development, new product commercialization, brand expansion, and product design, manufacturing, distribution, sales and marketing, and business strategy for long-term sustainable success. Prior to joining Generational Equity, Jon served as the President of Greenfields Americas, a Division of Tencate USA. He was hired to revitalize an underperforming operating company in the high performance athletic field industry. In one year, Jon was able to surpass the budget revenue target by 40% and improve gross margins by 230% by rewriting the sales and marketing plans, reworking the organizational structure and revising product offerings. Prior to joining Greenfields, Jon served as President and Chief Executive Officer “CEO” of CeraTech Inc. “CTI," a clean technology construction materials company headquartered in Alexandria,Virginia. As CEO, he drove the conceptualization and development of CTI’s transformational cement technology; building the company into a market leader in the development of environmentally friendly, carbon neutral cement systems. 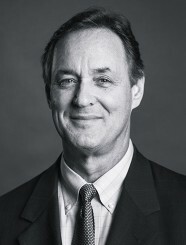 CTI’s early success was chronicled in a 2007, Wall Street Journal article entitled, “Hardened in Battle, This Company Sets Its Goal in Cement” and in a Smart CEO article, “Stir It Up.” Jon has appeared on both CNBC, Squawk Box and MSNBC, Morning Joe programs as a clean tech industry expert discussing technology advancements in construction materials. Jon Hyman began his career in the United States Army as a Commissioned Officer, serving for more than 20 years on active duty and reserve duty status. His last active duty assignment was in the Pentagon working on the Joint Staff under the direction of General Colin Powell. Jon is combat veteran earning the Bronze Star Medal for service in Desert Storm. Jon graduated from the United States Military Academy with a Bachelor of Science degree and earned his Masters of Business Administration from Columbia Southern University.